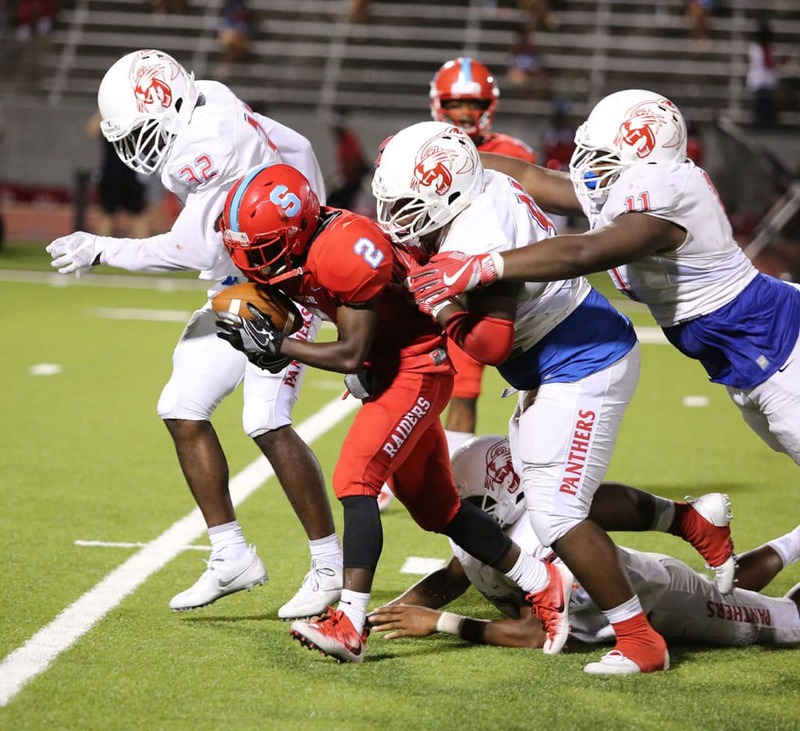 It didn’t take the Panthers from Duncanville long to get on the board in Friday night’s game against Skyline. On their first possession after Skyline went four-out, Duncanville scored their first touchdown in 8 plays. The TD resulted from a 6-yard toss from Jaylin Nelson to Isaiah Upshaw. PAT by Josh Delgado was good. Duncanville 7-0. 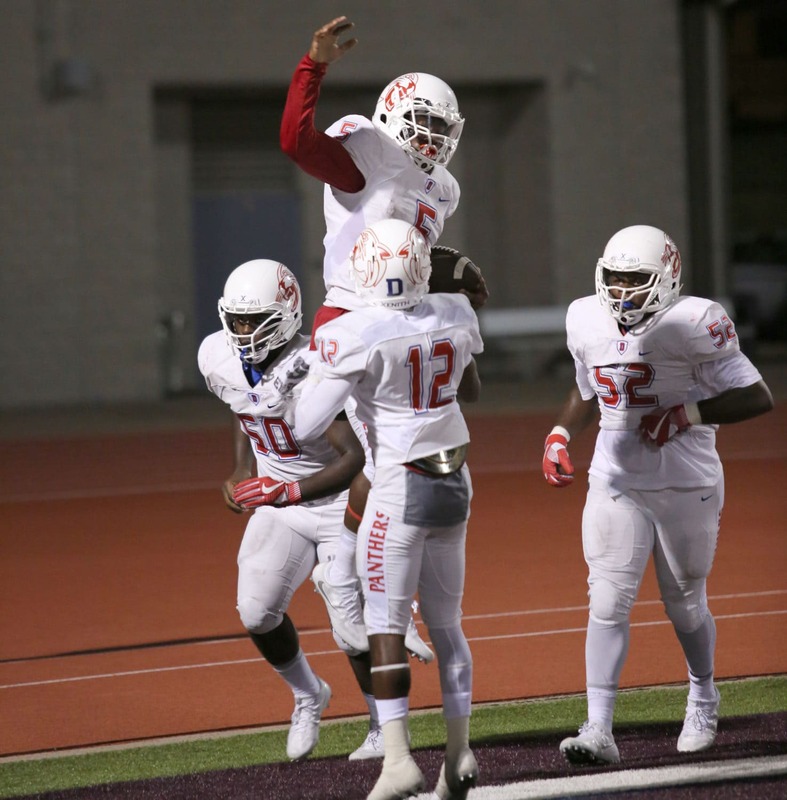 Another quick Duncanville score came on a 36-yard field goal by Delgado. Duncanville jumped out to an early 10-0 first quarter lead as Skyline struggled to make yardage. Bad field position and penalties hindered Skyline all night. 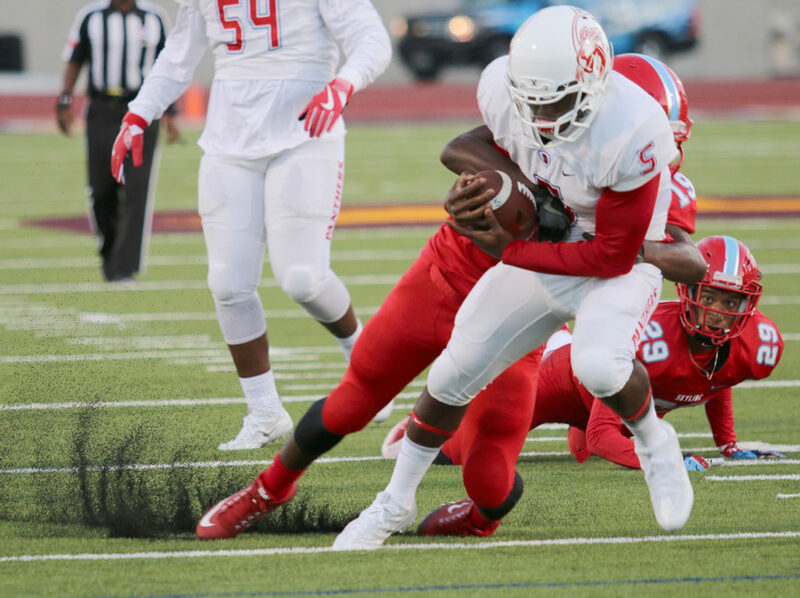 A tough defense and few mistakes by Duncanville kept Skyline out of the scoring game. Duncanville scored quickly in the second period on an off-tackle 9-yard run by Jaylin Nelson. PAT by Delgado was good. But, Skyline would manage to score as the half closed. Duncanville 17 Skyline 7. Duncanville would score once in the third period on a Nelson 4-yard run up the middle and again in the fourth on a Keilon Elder 7-yard run. Both PATs were good by Delgado. The last score came in the final two minutes of the game. Skyline turned the ball over to Duncanville on downs. Duncanville promptly took the ball and scored. Skyline got the ball back, but time expired before any kind of offense could be mounted. The final score was Duncanville 31 Skyline 14. 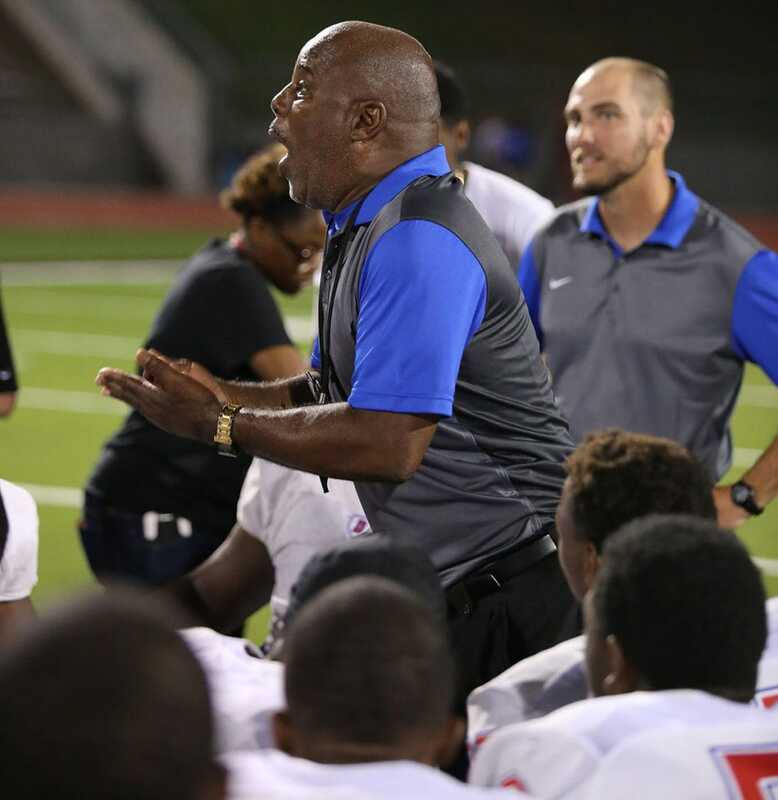 Duncanville amassed 328-yards total offense. With Nelson rushing 17-93, and passing for another 129-yards while Mackendrick Jackson had 2-56 rushing. Duncanville Coach Reginald Samples would not discuss the game before the start. But he was a little more candid off the record after the game. “Just call me superstitious,” he stated before the game. Samples indicated that he thought the defense had improved over the last two games. And that penalties needed to be curtailed as the season progressed. Duncanville lost a fumble and was penalized for only 30 yards. Asked before the game what he wanted, Samples quickly replied, “Three- and – 0.” Well Coach, you got what you wanted.